2018: the year of collaboration; the year of acquisition; or even the year of the LED wall or the year of the installation projector? The truth is the AV sector is now so fragmented that it was hard to settle on one specific trend – more like a dozen or so mini-trends. Christie is expanding its D Series line-up with three new value-priced single-lamp models, which are available with up to 8100 ISO lumens and both WUXGA and HD resolutions. Westcon-Comstor has launched its own VaaS cloud HD video conference service. Operating under the GoldSeal brand, and powered by Videxio, Westcon delivers a full provisioning, enablement and support service, including licence renewal management. Exertis customers can now purchase a wide range of products from leading commercial loudspeaker company Audica, via Exertis’ Pro AV division, Exertis Medium. The new partnership will enable customers to experience enhanced AV solutions through high quality audio systems. Polycom signed a merger agreement to acquire Obihai Technology, Inc., a San Jose-based innovator in VoIP audio solutions. Obihai Technology develops software and hardware for VoIP endpoints. This strategic addition allows Polycom to compete more effectively in the global voice market and broadens Polycom’s portfolio to include complementary technologies for the service providers and customers of all sizes. Barco confirms it is studying a possible re-location of the manufacturing activities of its Barco Fredrikstad AS (Norway) location, while further building out the local R&D and business development activities. The Fredrikstad location – previously projectiondesign – was acquired by Barco in 2012. Showing great leadership in the design and development of projectors, the branch was named ‘Barco’s Centre of Excellence’ in single-chip DLP projection in 2015. Zoom Video Communications today announced that it has significantly increased its UK headcount over the last quarter and is relocating to larger London premises as it gears up for further anticipated growth in 2018. Zoom UK has seen year on year revenue grow by over 275 per cent and a nearly 150 per cent increase in its UK customer base. Vivitek has announced that it has appointed Stampede to distribute its NovoConnect family in the UK. Stampede’s appointment is effective immediately and it joins Vivitek’s other NovoConnect distributor partners in the UK. ISE 2018 established new records for both exhibitor and attendee numbers. The number of exhibitors totalled 1,296, of which 294 were exhibiting at ISE for the first time. Combined, they filled 53,000 sqm of exhibition floor space. 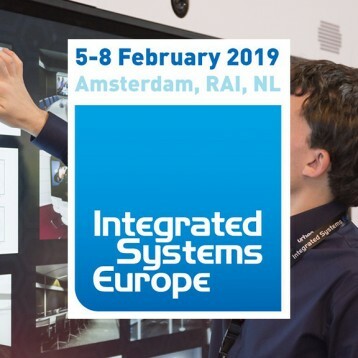 Floor space already confirmed for ISE 2019 currently stands at 103% of the total booked for ISE 2018. STRATACACHE has announced that it has completed the acquisition of all outstanding Scala shares and Scala divisions around the globe including Scala Inc., Scala BV, Scala KK and Scala Nordic AS. Powering ahead with plans for imminent growth in the UK, Vestel has announced the launch of a brand-new distribution partnership with leading hardware and software distributor, Crystalised. Exertis has announced an agreement to distribute the Vestel range of “feature rich and affordable” Interactive Flat Panel Displays (IFPD) through its Pro AV division Exertis Medium. Ingram Micro U.K. and Ireland has announced a partnership with Infocus, who provide end-to-end display video conferencing solutions from video phones to projectors, and JTouch interactive touchscreens, the Monopad all-in-one touch and video conferencing solutions and ConX Cloud video conferencing services. 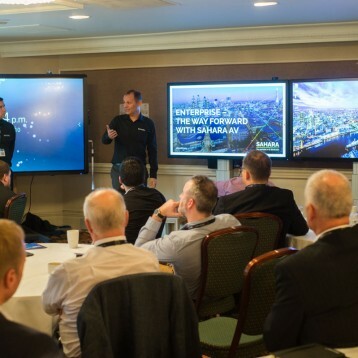 The partnership enables Ingram Micro UK to enhance their AV portfolio and offer channel partners a strong choice of technologies. 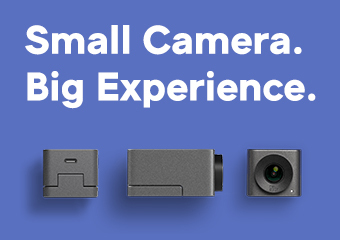 Nuvias has signed a pan-EMEA distributor agreement with innovative Scandinavian start-up Huddly for its ground-breaking intelligent collaboration camera. From early next year, buyers of Microsoft hardware will have a new touchscreen option and one with a new tiling feature that takes Hub 2 into competition with Oblong Industries’ Mezzanine and other multiscreen solutions. Maverick AV Solutions has partnered with HP and Logitech to deliver the HP Elite Slice solution as part of its collaboration portfolio. Built with excellent video and audio quality in mind, the HP Elite Slice desktop device provides seamless video meetings on your preferred platform, in rooms of any size, all at the touch of a finger. Northamber has announced that it has signed a distribution agreement with IT and AV connectivity experts Lindy. The agreement will see Northamber promote Lindy’s complete range of cables, connectivity and specialist distribution solutions. Small to medium-sized enterprises ranging from cafes, hairdressers, beauty salons, garages, small retailers and even office reception areas, are now set to become even more vibrant thanks to the introduction of Vivitek’s new NovoDSmini digital signage solution. 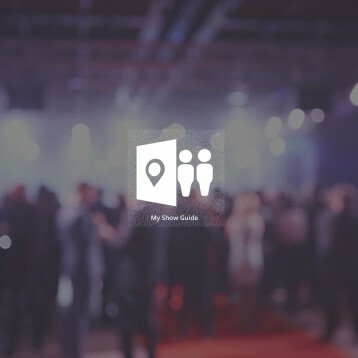 Avocor is working with Microsoft to introduce Windows collaboration solutions – a new category of large interactive displays that will help teams connect, collaborate and perform. The new category of displays is said to feature the world’s most advanced touchscreen technologies to enhance collaboration and enable teamwork. AVMI’s acquisition of the UK-based Focus 21 will significantly enhance AVMI’s capabilities to design, deliver and support a broad range of audio visual, collaboration technology and digital media solutions. The combined business reinforces AVMI’s market leading position in the UK, whilst growing and accelerating AVMI’s vision for becoming a major player in the global AV market. Digitavia has been acquired by Diversified, one of the largest technology firms in our industry. 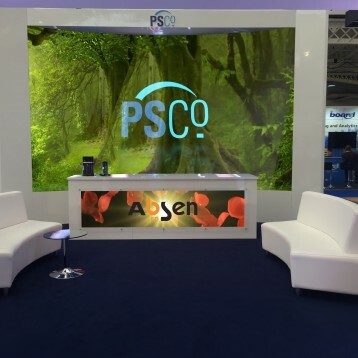 The two companies have been successfully partnering for the last two years as part of the Global AV Partnership, to deliver audio visual solutions on a global basis for our mutual clients. The success of this partnership made it apparent that Digitavia was a natural fit to become the European arm of Diversified. Leading US distributor Stampede has been acquired by the technology division of DCC plc – a £14.3 billion revenue, London Stock Exchange listed (LSE) international sales, marketing and support services group that employs 11,000 people in four divisions operating in 17 countries. A study by One Pulse and Owl Labs, the smart video conferencing company, has revealed that over half of UK employees feel their companies aren’t doing enough to meet the modern day needs of remote and flexible working. An overwhelming number of workers also say communication and collaboration declines immensely when working from home, with nearly 4 in 5 admitting they have a hard time staying engaged when joining meetings remotely. ‘Teamline by StarLeaf’ is a new range of premium meeting room solutions for Skype for Business and Microsoft Teams. In the corporate space, StarLeaf argues that video meetings should be of a high quality, reliable, always on and offer investment protection, which is a key differentiator when comparing Teamline’s codec-based architecture with a PC-based solution. UC News, AV News and Maverick AV Solutions have created a boundary-pushing event that we would love you to be a part of. Connect – Age of Collaboration will be taking place at the iconic Design Museum in London on the 26 and 27th September. Saville Audio Visual, the leading AV integrator and live event specialist, is set to launch three new visual identities and revamped websites after enjoying a period of strong growth. ‘Saville Group’ has been revealed as the new parent brand. It will be joined by Sparq and Visavvi as the company’s live events business and the AV systems specialists respectively. 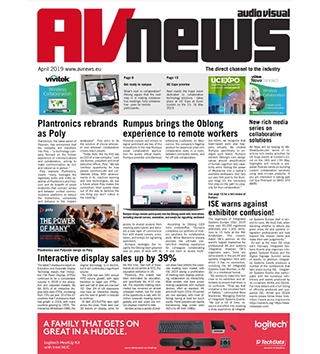 ViewSonic Europe has announced the UK launch of its newest interactive display – the IFP2710. Intuitively designed to be used in both educational and corporate settings, the 27-inch panel enables up to 10 users to annotate and edit content simultaneously – making collective discussions easier and more engaging. Midwich has announced it has acquired Sound Directions France, which trades as Perfect Sound, a value-added distributor of professional audio products based in France, serving predominantly the French and French speaking Swiss market. 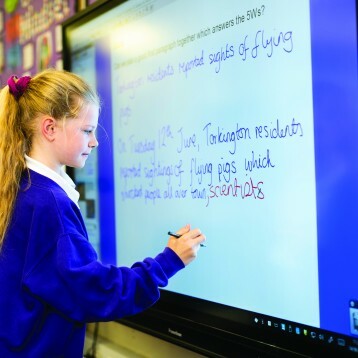 CTOUCH Europe has announced the Laser Nova, the new versatile interactive touchscreen designed for “maximum ease of use and fun in classroom collaboration.” The new interactive touch screen is specifically designed to stimulate the development of “21st century skills”. 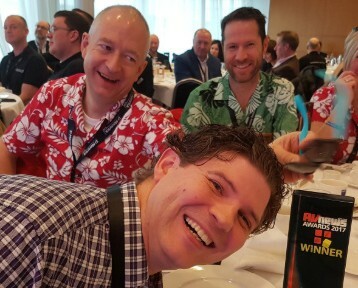 BlueJeans has announced a U.S. distribution agreement with Ingram Micro, extending the relationship after successfully selling together in Asia Pacific and EMEA for the past year. The deal will allow a comprehensive network of U.S. channel partners to build meeting solutions for any business for a measurable and secure increase in productivity and collaboration. Sharp will launch its first Windows Collaboration Display (WCD) – the next generation of interactive displays designed to support and improve team work. The 70” 4K interactive display for enterprise and SMB offices, which meets Microsoft WCD specifications, combines Sharp’s award-winning touch technology and sensors that can work with Microsoft Azure Digital Twins to monitor collaboration spaces. Absen enables Etisalat Gitex booth features 3D robotic video walls, which added a completely new dimension to the content on display. This striking display was employed to showcase Etisalat’s efforts towards the development of autonomous transportation and connected car technologies in UAE, which form an integral part of Dubai’s Autonomous Transportation Strategy. In an event co-hosted with Intel, Vestel revealed new display, including a stunning new PCAP model. In a number of solutions jointly developed with Intel, using the latter’s Unite technology which allows the user to control any display from any other connected display. Intel demonstrated a variety of possible use cases, including options for pairing its NUC and OPS platforms. Use of Intel’s vPro certified technologies will provide reassurance for uses tasked with mission-critical and compute-intensive applications used in corporate and organisational applications.